Within ISO 26000:2010 – Guidance on social responsibility, the international standard assisting organizations in contributing to sustainable development, there exists a brief section titled Box 3 – ISO 26000 and small and medium-sized organizations (SMOs). This box, while only applicable to a certain type of standard user, is a testament to the applicability of the document and can be incredibly beneficial for smaller organizations who want to engage in socially responsible behavior. ISO 26000:2010 – Guidance on social responsibility is an international standard providing guidance on most topics relevant to social responsibility, along with the means of implementing sustainability throughout an organization and its sphere of influence. According to the standard, social responsibility and sustainable development, while often used interchangeably, are two distinct concepts. Sustainable development is “about meeting the needs of society while living within the planet’s ecological limits and without jeopardizing the ability of future generations to meet their needs.” Alternatively, social responsibility keeps “the organization as its focus and concerns an organization’s responsibilities to society and the environment.” Obviously, these two ideas are closely tied together and are both essential for comprehending the ISO 26000:2010 – Guidance on social responsibility document. ISO 26000:2010 – Guidance on social responsibility, having been developed by a working group drawn from about 80 countries and international organizations, has been highly successful because of its widespread applicability. In fact, it is intended to be used by almost any organization, regardless of size. Small and medium-sized organizations (SMOs), also known as small and medium-sized enterprises (SMEs) or “micro” organizations, are organizations whose number of employees or size of financial activities fall below certain limits. The exact thresholds for classification vary between nations, but most SMOs are similar due to their small size, flexibility in terms of organizational management, close contact with the local community, and top management’s more immediate influence on the organization’s activities. From these defining characteristics, SMOs are actually highly suitable for the recommendations presented in ISO 26000:2010 – Guidance on social responsibility. In fact, the common activities of these organizations simplifies many of the processes and considerations of the standard. For example, it is heavily stressed in the document that any organization needs to consider the interests of its stakeholders, without elevating their concerns above the rights of the public. 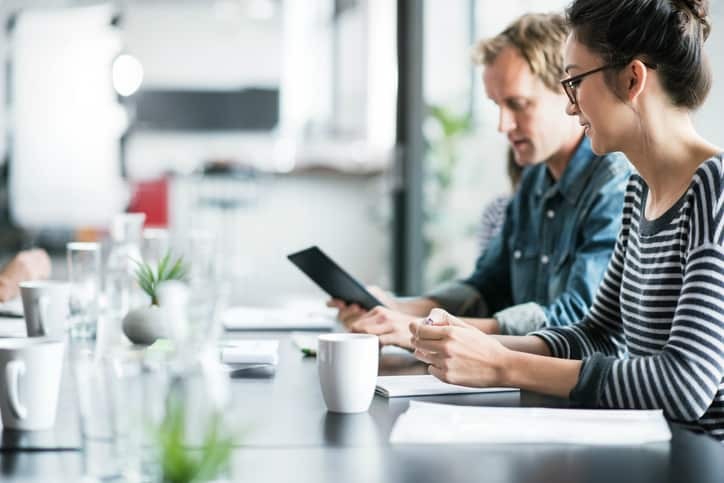 With smaller businesses and organizations, the stakeholders often interact closely with the individuals responsible for the sustainable development practices, making it easier to accomplish them. The last subject for guidance on social responsibility, community involvement and development, is also generally easier for SMOs to attain, since they are already active in their communities prior to their adoption of the standard. Ultimately, SMOs can find success in socially responsible practices with greater ease than other organizations, since they possess a smaller sphere of influence and a smaller staff to engage in the necessary efforts. take into account that internal management procedures, reporting to stakeholders and other processes may be more flexible and informal for SMOs than for their larger counterparts. 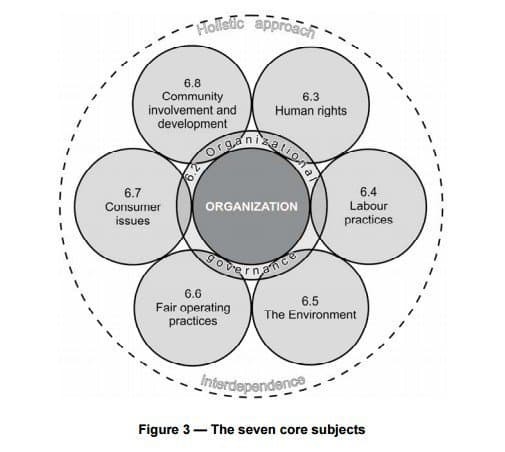 be aware that when reviewing all seven core subjects and identifying the relevant issues, the organization’s own context, conditions, resources and stakeholder interests should be taken into account. focus at the outset on the issues and impacts that are of greatest significance to sustainable development. seek assistance from appropriate government agencies, collective organizations (such as sector associations and umbrella or peer organizations), and national standards bodies. where appropriate, act collectively with peer and sector organizations rather than individually, to save resources and enhance capacity for action. 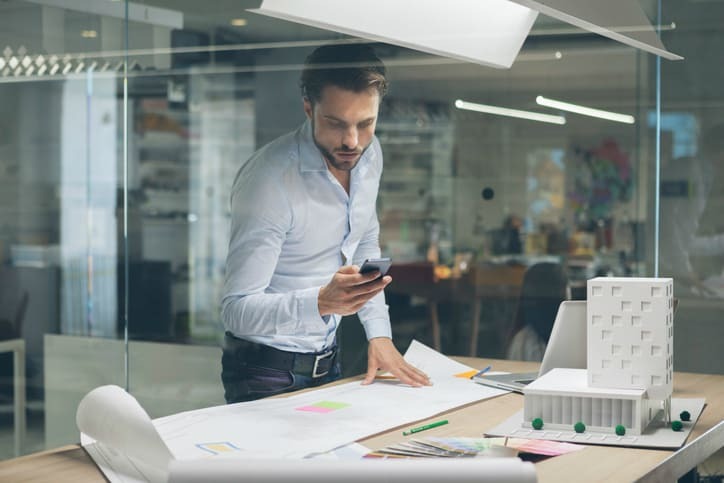 The benefits of adherence to social responsibility guidelines for small and medium organizations, just as with any other organization, are numerous. Take, for example, Step Ahead AG, a fairly typical SMO. This German-based software developing company is small, only employing 40 people, some of which are part time, and it uses ISO 26000:2010 – Guidance on social responsibility for orientation in its activities. By integrating the standard’s recommendations into its values and practices, Step Ahead AG has been able to identify areas where it can reasonably contribute to the development of society. Since Germany is a highly-regulated country, the small organization needed to first take into account the laws in regard to the environment, society, health and safety in the workplace, etc. However, the interests of ISO 26000:2010 – Guidance on social responsibility extend much further than legal requirements, and Step Ahead AG identified the following issues for social responsibility: human development and training in the workplace, prevention of pollution, sustainable resource use, education and culture, employment creation and skills development, and social investment. By drawing upon the guidance provided on these issues from the standard, the SMO has been able to provide contributions to society and societal development reasonably and effectively, advancing its status in the community. While most of the actions needed for social responsibility can be fulfilled by an SMO itself, organizations with greater capacity and experience in social responsibility might consider providing support to SMOs, including assisting them in raising awareness on issues of social responsibility and good practice. ISO 26000:2010 – Guidance on social responsibility is available on the ANSI Webstore. 1. International Organization for Standardization (ISO), ISO 26000: Guidance on social responsibility (Geneva: ISO, 2010), 20.